On 19 September 2018 the Rotterdam District Court assumed jurisdiction over the international securities class action lawsuit against Petrobras Brasileiro SA and others in the Netherlands. The judgment offers valuable insight into how the Dutch courts assess jurisdiction in cross-border collective redress cases. It also illustrates that the Netherlands could act as a collective redress venue in matters relating to events that mainly take place in foreign jurisdictions. The class action related to a Brazilian criminal investigation into alleged bribery schemes within Petrobras, which took place between 2004 and 2014. Petrobras had allegedly been overcharged by certain companies for construction and service work in return for bribes paid to high-ranking Petrobras officials and political parties. The scandal gave rise to multimillion-dollar claims by various parties in multiple jurisdictions. On 12 November 2015 a Dutch claim foundation was established in the Netherlands to represent investors which traded securities outside the United States and had suffered damages from the alleged misconduct. In January 2017 the foundation initiated a class action against Petrobras, three of its Dutch subsidiaries and other defendants, requesting a declaratory judgment that the defendants had acted unlawfully towards the investors and were liable for any damages as a result thereof. investors ought to have filed their claims in arbitration proceedings. Alternatively, the defendants requested the court to stay the proceedings pending the outcome of affiliated litigation proceedings brought in Brazil and the United States. Jurisdiction The court first rejected the defendants' arguments and pronounced its jurisdiction over the Dutch defendants. It based its jurisdiction on the main rule as set out in Article 2 of the Code of Civil Procedure. The court proceeded by determining that the recast EU Brussels Regulation (1215/2012) did not apply to the claims against the foreign defendants as they were not domiciled in the European Union. The court therefore concluded that its jurisdiction regarding the foreign defendants also needed to be assessed under the Code of Civil Procedure. if a Dutch court has jurisdiction with respect to one of the defendants, it has jurisdiction to all defendants who are called to the same proceedings, provided that the rights of action against the different defendants are connected with each other in such a way that a joint consideration is justified for reasons of efficiency. The court held that the majority of the claims against the Dutch and foreign defendants were sufficiently connected to justify a joint hearing within the meaning of Article 7 of the Code of Civil Procedure. It considered that these claims concerned the same events and that, as such, the Dutch and foreign defendants' misbehaviour could be considered as a series of related acts. The close connection between the claims meant that the foreign defendants could face legal proceedings regarding these events in the Netherlands. The court did not assume jurisdiction against the foreign defendants with regard to two claims. The first concerned the participation of foreign defendants in the alleged large-scale bribery scheme, while the second concerned a more general violation of applicable regulations. The court held that the Dutch claim foundation had failed to explain how the Dutch defendants had been involved in these events; as such, these claims could not be assumed to be closely connected to establish jurisdiction under Article 7 of the Code of Civil Procedure. Arbitration clause Parallel to the motion to dismiss due to a lack of international jurisdiction, the defendants argued that the court could not exercise jurisdiction since the investors ought to have filed their claims in arbitration. The defendants thereby referred to the arbitration clause that was included in Petrobras's articles of association. The court held that – as arbitration clauses are intended to be consulted by investors all over the world – only the English version of the arbitration clause at issue was of any significance to the jurisdiction issue. It assessed that the English arbitration clause was invalid under both Brazilian and Dutch law because it failed to directly and specifically state that all disputes must be brought before an arbitral tribunal, rather than a national court. Therefore, the arbitration clause could not deny investors (and the Dutch claim foundation) their fundamental right to commence legal proceedings against Petrobras before the court. The court rejected Petrobras's request to stay the proceedings until a final decision had been rendered in related proceedings in the United States and Brazil. As regards the claims in the United States, the court held that it was unclear when a judgment would be rendered regarding investors that decided (or would decide) to opt out from the class action settlement reached in the United States. As for the proceedings in Brazil, the court considered that no decision was expected with regard to Petrobras's acts and omissions, assuming that the Brazilian courts declared the arbitration clause to be valid. Further, the court ruled that it remained unclear whether any arbitral award given in Brazil would be recognised and enforceable in the Netherlands now that the court had found the arbitration clause included in Petrobras's articles of association to be invalid. The Dutch courts are generally renowned for their thorough assessment of jurisdiction in proceedings that involve foreign defendants and concern circumstances which mainly took place outside the Netherlands. This practice safeguards the interests of defendants – preventing them from being summoned into Dutch proceedings without merit. Petrobras provides a clear example thereof. It also confirms that the involvement of Dutch defendants will render the Netherlands an effective venue in which to file claims against foreign defendants regarding events that happened outside Dutch jurisdiction. Once past the jurisdictional 'hurdle', the Dutch legal system offers a wide range of collective redress mechanisms to address international cross-border class action disputes. One such mechanism is the Act on Collective Settlement of Mass Claims, under which parties that have concluded a settlement can submit a joint request to the Amsterdam Court of Appeal to declare the settlement binding. (1) In addition, the House of Representatives recently agreed the new Dutch legislative proposal on class actions. If agreed by the Senate, representative entities within the meaning of Article 3:305a of the Civil Code (eg, the Dutch claim foundation in Petrobras) will no longer be prohibited from claiming financial damages on behalf of their constituents. This would provide an extra dimension to class action proceedings before the Dutch courts and would undoubtedly increase the attractiveness of the Dutch collective redress system in cross-border disputes. For further information on this topic please contact Jeffrey Kleywegt or Robert van Vugt at AKD by telephone (+31 88 253 5000) or email (jkleywegt@akd.nl or rvanvugt@akd.nl). 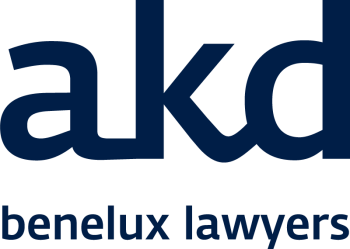 The AKD website can be accessed at www.akd.nl. (1) See, for example, "Amsterdam Court of Appeal declares Fortis settlement binding under WCAM".